SAVE $$$ - Never pay to have your chainsaw sharpened again! The genuine Pro-Series - not a copy! SAVE DOLLARS - never pay to have your saw chain sharpened again! Balanced motor for constant blade speed-means no hot spots! Industry standard 10mm arbor - get consumables anywhere! Constant 3,000RPM commercial motor ensures you never burn, hot spot or soften your chain. UNIMAC Chainsaw Sharpeners exceed expectations with their amazing features. The triple-reinforced splitting head, rigid chain vice and incremental lock work in harmony to provide an effortless sharpening experience. Furthermore, safety is never an issue with the grinding wheel shield, giving your face and eyes the ultimate protection from stray filings. These robust DIY sharpening machines are equipped with balanced motors to deliver constant blade speed. Ideal for all common chain types and sizes, they even come with bonus grinding wheels. With these sharpeners on hand, you’ll never have to pay for having your chainsaw sharpened again. Edisons also offers the 3-in-1 Chainsaw Chain Breaker, Spinner and Joiner. Suitable for almost any chain, you can use it to easily and effectively discharge rivets. It has a heavy precision base, easy spin handle and adjustable chain guides. Round up all your hardware needs with Edisons’ wide range of high-quality and affordable Drain Cleaners, Brush Cutters, Hedge Trimmers, Pressure Washers and Lawn Mowers. 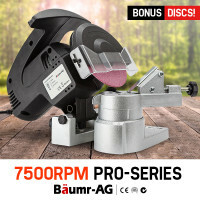 All Baumr-AG and UNIMACChainsaw Sharpeners are purpose-built for maximum value and durability, and are backed by a 12-month domestic warranty and a 3-month commercial warranty. 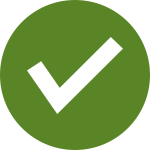 Edisons guarantees fast and easy delivery anywhere, whether you’re in Sydney or the Outback. \What are you waiting for? 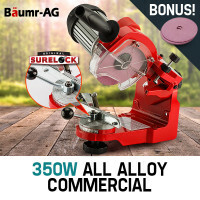 Buy a Baumr-AG and UNIMACChainsaw Sharpener today!